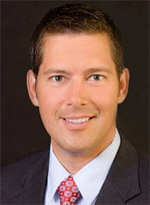 Sean Duffy, a Wisconsin Congressman, has identified an issue with the Veterans Affairs (VA) health system that is preventing veterans from having their�hearing aids�serviced in a convenient manner. Currently, veterans are only able to have VA-covered hearing aid services performed at a Veterans Administration Hospital or Clinic. However, these locations are overloaded with appointments and, in some cases, veterans are asked to wait as long as six months to have their hearing aids fixed. Hearing loss is one of the most common things veterans experience. Roughly 60% of veterans of Iraq and Afghanistan return home with hearing loss, making this issue even more pressing. Duffy’s solution is to include local hearing instrument specialists in the health plan. This would not only allow veterans to get their services faster, but also offer more convenience. Some veterans have reported having to drive up to 100 miles to their closest VA clinic for an appointment. On November 8th, Duffy announced his plan to introduce this legislation to congress.